Taro is a mid-sized fishing community along the hard-to-evangelize coastal area of northern Japan. Twice in Taro's past (1896 and 1933) the town experienced major tsunamis that destroyed much. Small seawalls were built. Then in the 1960's Taro came up with a final solution: a 40-foot high super seawall built at the cost of billions of yen. The town felt secure and took great pride in this human testament to engineering. People felt so secure that they built their new houses right up along the outskirts of the wall. Then came 311. 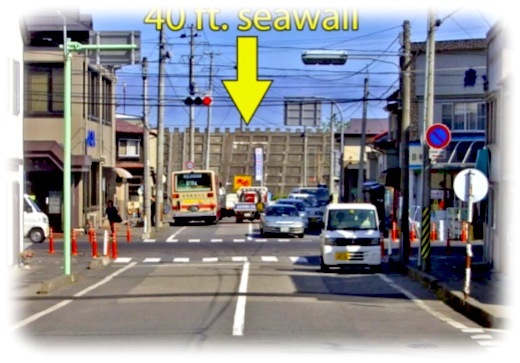 The tsunami completely demolished an older, smaller seawall and easily crested the super seawall. This time the loss of life was great. In the video I've posted here you will see row upon row of unclaimed photo albums in the gymnasium of a town hall. These lives are lost or changed forever. Six of us from our church plant in Kawasaki drove to Taro. There is no church here, nor any church in most of these fishing towns along the coast. But a church in Morioka (see video of Pastor Kondo), 70 miles inland, is helping coordinate Christian relief and witness in these devastated towns. The suicide rate there has escalated dramatically post 311. So our focus was heart care: talking with residents, delivering food items, offering to pray, doing light cleaning, asking about their needs, and playing with children. The people who survived the tsunami were amazingly open, breaking cultural norms to open their home, welcome us in, talk and receive the food items we brought. They were also very near to tears and struggling with survivor's guilt. Many of their friends and neighbors were washed away. They only survived because their homes were built higher up on the mountain side, or they were out of town at the time. After nearly four months of Christian relief activity, there are early signs of God's work in Taro's healing. There has been no high-pressure evangelism, just steady care and intentional serving of local residents. Many are taking interest in the motivation for these volunteers. Some eagerly take Bibles and Christian literature put out at a outdoor cafe a volunteer team has set up. Others have begun calling these Christian volunteers "Kirisutosha" or "the Jesus people," a term of admiration that rings of what Antioch called early believers they couldn't make sense of. Would you pray for the energy and strength of Christian volunteers entering towns along the coast just like Taro. The opportunities and needs are great, the resources so few. Pray for wisdom to stretch what God has given. Would you pray that the people would turn away from manmade security, toward the security of the Everlasting Arms, and receive forgiveness in Christ. Now is the time for a great revival in coastal Japan! Konnichiwa! This blog merely feeds into our website. Please visit us there. And please connect with us through the social networks above! 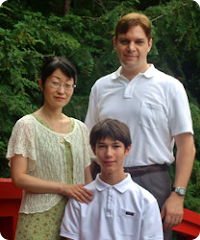 Kevin & Kaori (and Justen Keiji, son) are WorldVenture missionaries in Japan where they've lived since 1999. They are currently planting a church, Denen Grace Chapel, in the Kawasaki area. They also call Chicagoland and Yamagata their homes. © Kevin & Kaori Laverman; Kawasaki, JAPAN. Powered by Blogger.